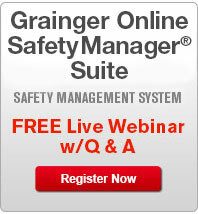 What Is Grainger Online SafetyManager? 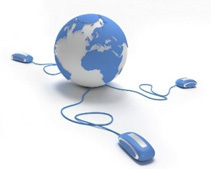 Quickly and efficiently assign, track and document your online and classroom safety training. This tool has the flexibility to enable you to manage training for a small group at a single location or a larger number of employees at multiple locations. Included with a subscription to the Learning Management System. Share and track your critical safety documents right from your desktop! Included with a subscription to the Learning Management System. Select from hundreds of safety-related online courses to add to your Learning Management System subscription. 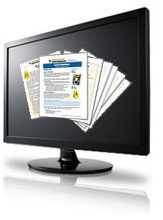 Prebuilt, customizable templates help you develop OSHA-required written safety programs. Customize the existing templates to your site needs. Use our Document Sharing and Tracking system (see above) to share with others in your company. And if you have your own written programs, you can upload your existing documentation into the Document Sharing and Tracking system. Prebuilt, customizable templates help you develop safety policies and procedures. Customize the existing templates to your site needs. Use our Document Sharing and Tracking system (see above) to share with others in your company. And if you have your own policies and procedures, you can upload your existing documentation into the Document Sharing and Tracking system. Reinforce safe, best-practice workplace procedures with customizable safety meeting templates. Track your safety meetings within the Learning Management System. 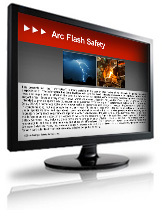 Conduct professional safety presentations with PowerPoint®templates. Track your classroom sessions in the Learning Management System..
Use safety checklists to help identify potential hazards at work. The questions are based on applicable OSHA safety standards. The checklists can help you determine corrective measures that may be needed to help eliminate hazards and keep you in compliance with critical workplace safety regulations.